Wena from mum-mum is our host for this 5th „Is My Blog Burning“-Event, thanks a lot for giving a fascinating theme: Fish! country that we decided to travel with her to Brazil last summer. 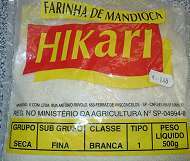 weeks in Bahia: Moqueca („moo-keh‘-kah“). country with nice and warm people. Rinse fish fillets and pat dry. Remove any left bones. If necessary cut in larger pieces. lime juice (or use a blender, as most Brazilians nowadays do ;-)). Put fish into an airtight bag (ziplock bag) and add marinade. Let marinate for 1-2 hours in a cool place. tomatoes, onions and peppers until the water is gone for a few minutes. Feijoada completa (Black Bean Stew), the Brazil’s national dish. Combine all the ingredients in a large bowl. Stir well and serve either at room temperature or cold. Die Fischfilets und die Hummerkrabben kalt abspülen und trockentupfen. Die Fischfilets von evtl. noch vorhandenen Restgräten befreien und jeweils zweimal quer durchschneiden. 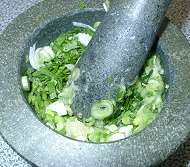 Für die Marinade (Tempero) Knoblauch, Salz, Koriandergrün und die Frühlingszwiebeln in einem Mörser zu einer Paste verrühren, dann den Limettensaft unterrühren. Die Fischstücke und die Krabben in einen Gefrierbeutel geben, dabei jeweils etwas von der Marinade dazulöffeln. Alles 1-2 Stunden im Kühlschrank marinieren lassen. 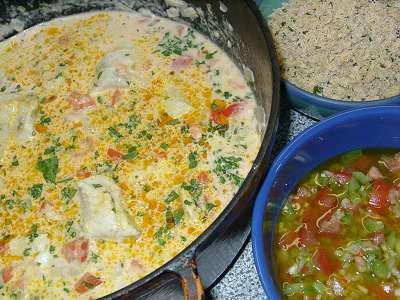 Die Moqueca sehr heiß mit Farofa (geröstetem Maniokmehl), Reis und Vinagrete (scharf-saurer Sauce) oder Molho de Pimenta (Chilisauce) servieren. enough, my children and my husband adore "Milchreis mit Zimtzucker"
them but never joined them eating it. cuisine of the swiss canton of Tessin): "Savarin di riso su lamponi"
grains add a special kind of texture. 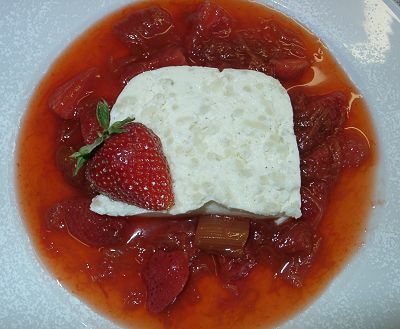 It’s best to make the compote fresh, otherwise the strawberries will lose their nice colour. 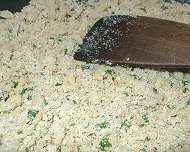 Bring water to a boil and cook rice for 5 minutes, then strain rice through a sieve. Cut the vanilla pod open and scrape out the tiny seeds with a pointed knife. Soak leaf gelatine in cold water. Combine milk, vanilla pod, seeds and salt and bring to a boil. When the rice mixture starts to stiffen fold in the whipped cream. Place plastic wrap in a terrine pan (1 litre) or loaf pan coming up over the sides. plastic wrap overhang. Refrigerate overnight until set. strawberry and sprinkle lightly with confectioners‘ sugar.